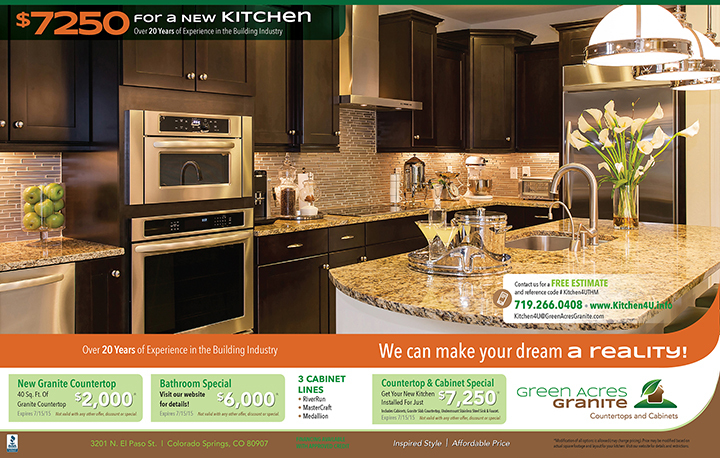 These are examples of some of the many advertising campaign packages we’ve developed over the past 32 years. 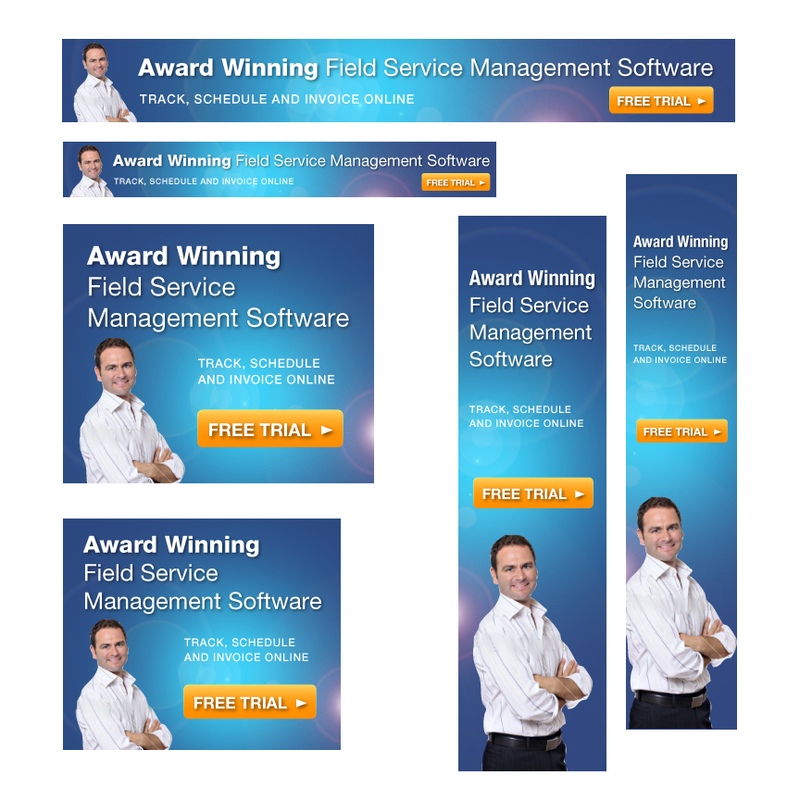 In partnership with Fusion Marketing Partners, we developed a set of online banner ads for Blue Folder to advertise their field service management software. 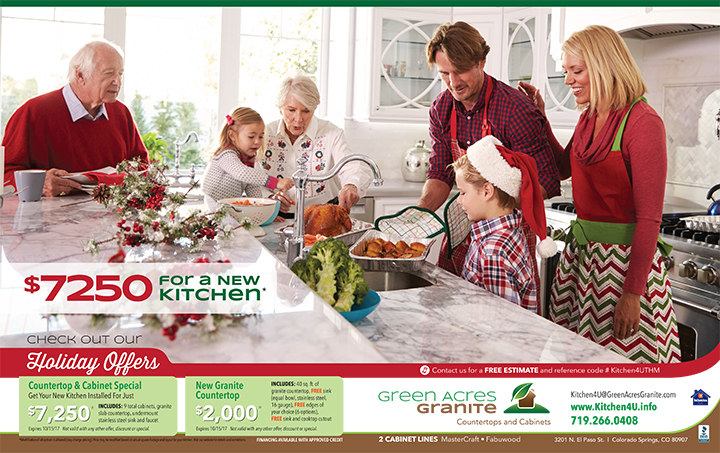 These ads followed the common sizes formatted by Google. 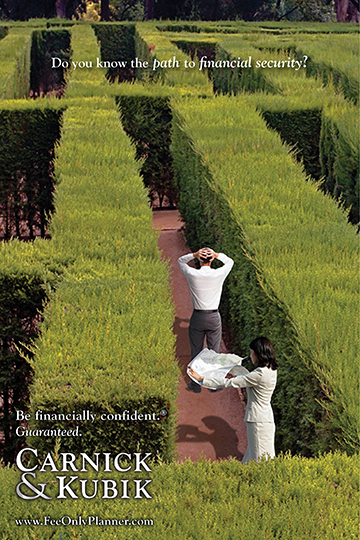 Carnick & Kubik (formerly known as Carnick & Company) is a personal wealth advisors in the Colorado Springs and Denver areas. 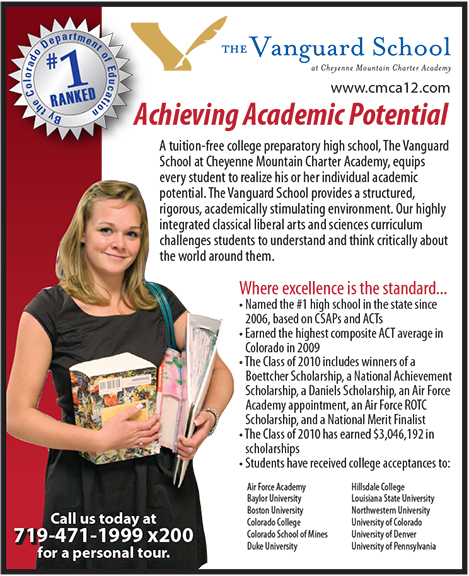 Crystal Peak developed all their advertising campaigns for over 15 years. 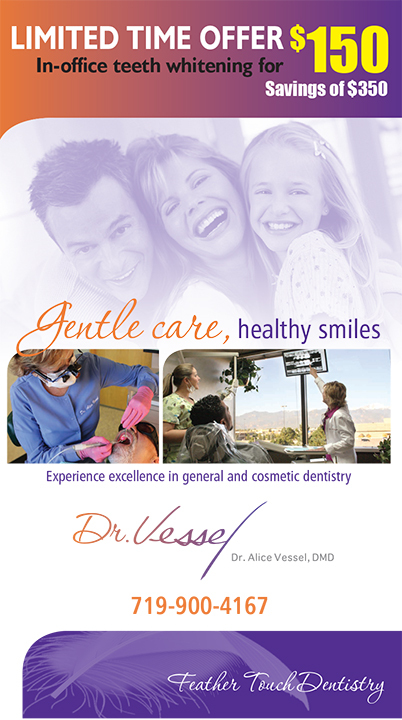 The campaigns often included; postcard mailers, magazine ads, newspaper ads, newsletters and brochures. 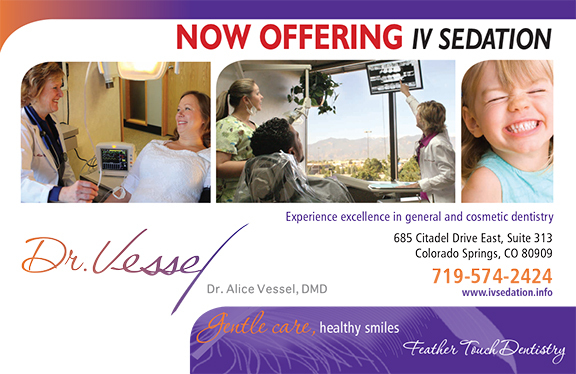 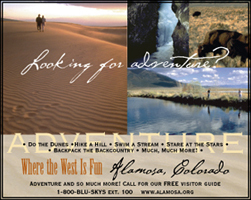 The Alamosa Visitors Center hired us to create several print ads for the city and county of Alamosa and the greater south central Colorado area. 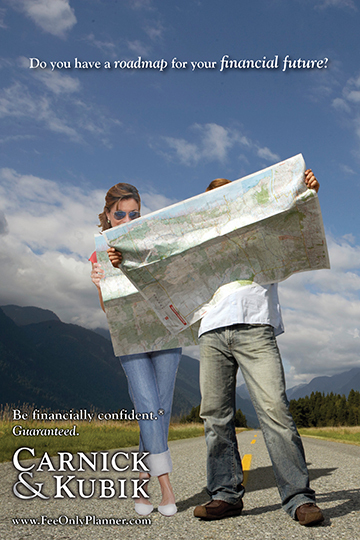 These were placed in state visitor guides to highlight reasons to visit. These ads shared branding with brochures and marketing collateral we produced as well. 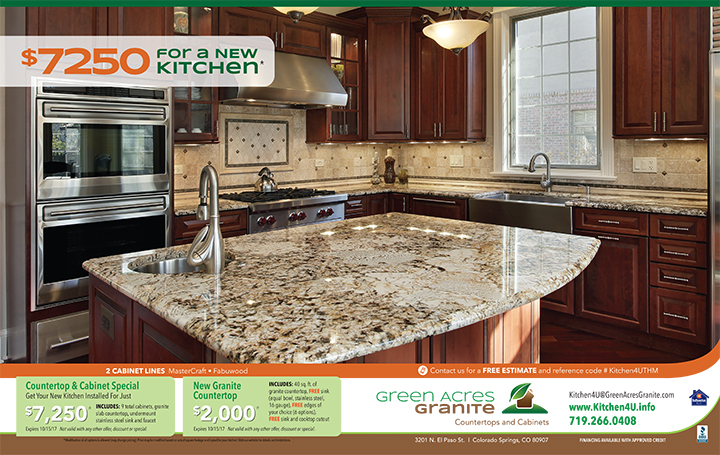 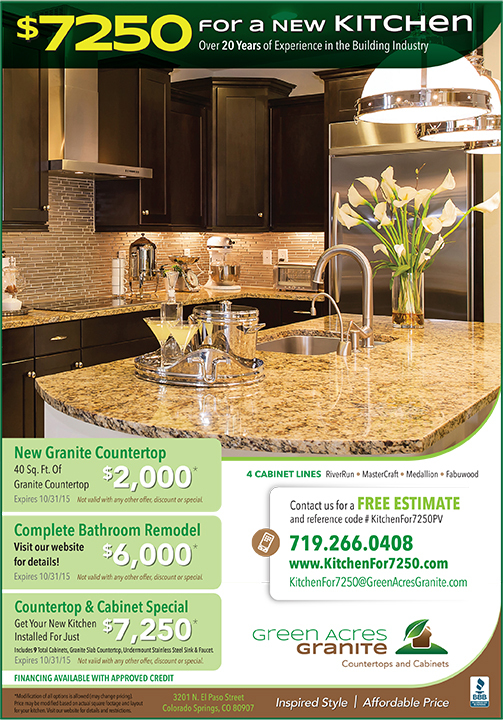 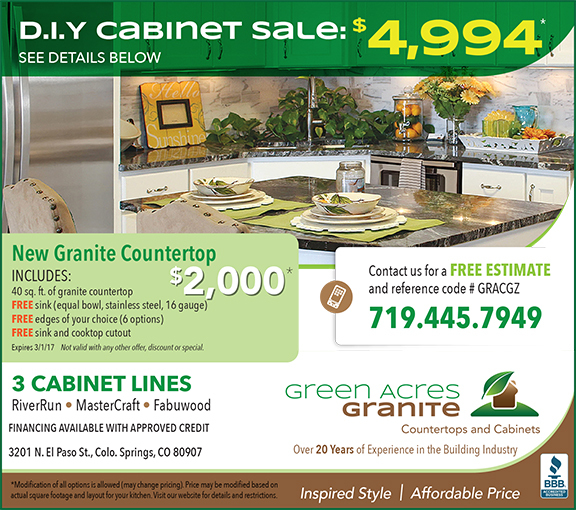 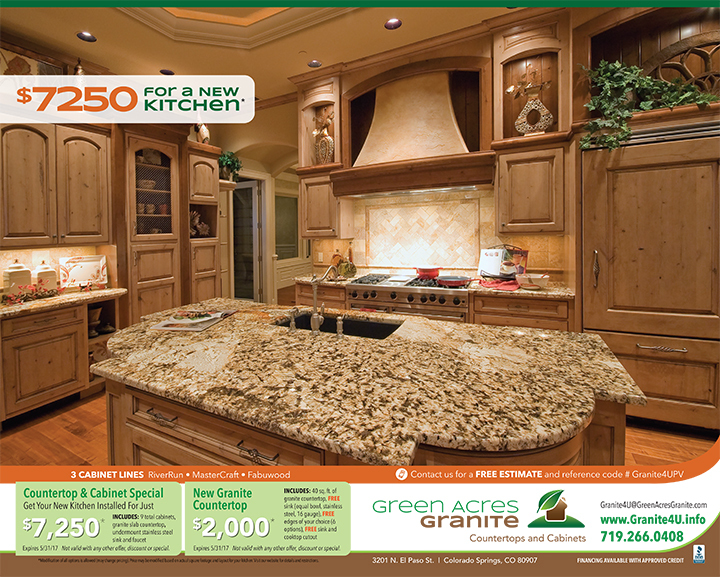 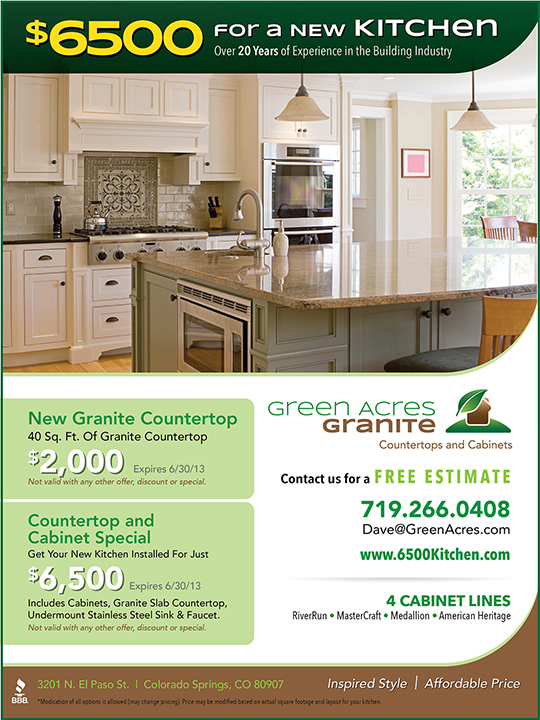 Green Acres Granite in Colorado Springs is a family-owned granite fabricating and installation company. 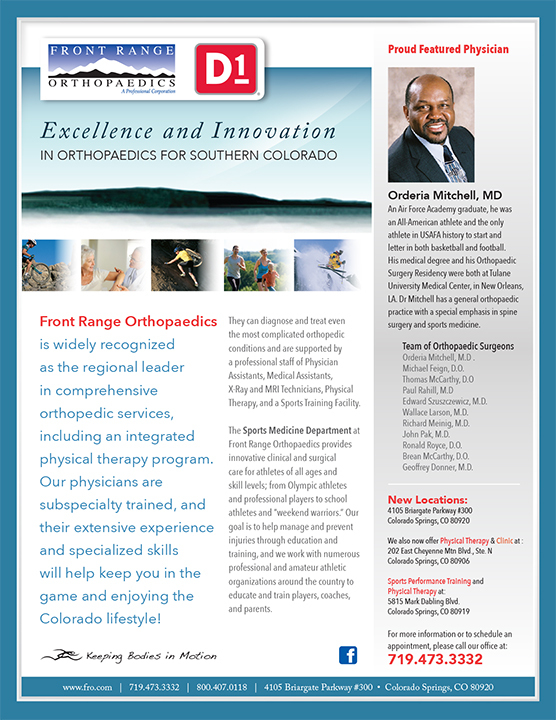 As a part of an overall branding update for them, we have produced print ads for various publications in the Pikes Peak region and outlying areas of Colorado. 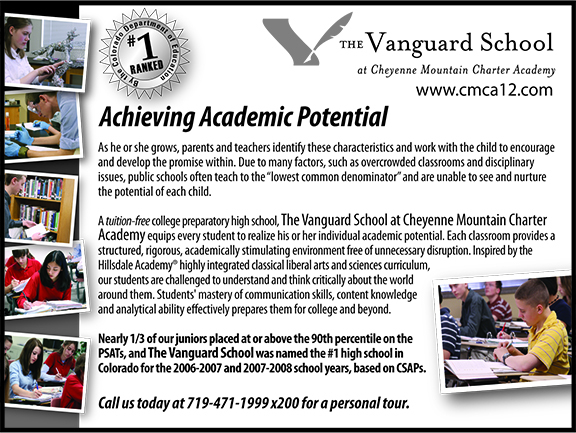 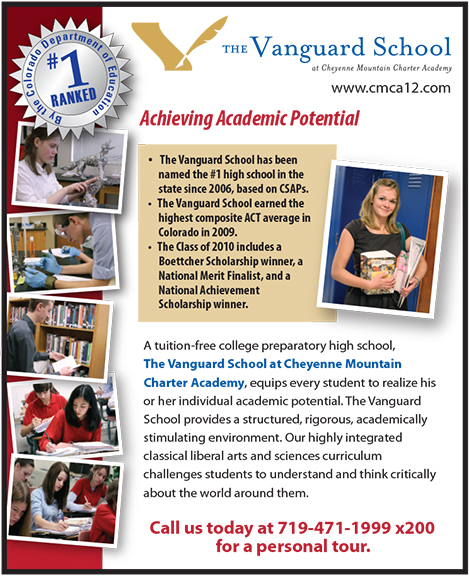 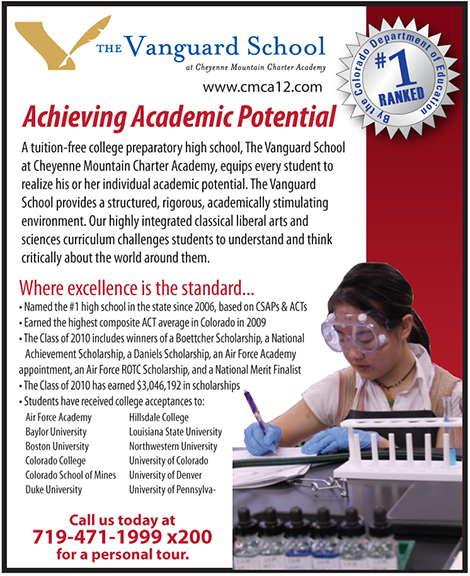 Crystal Peak was hired by The Vanguard School to develop their logo, corporate identity, brochures and advertising campaigns. This is an example of one of the many ads. 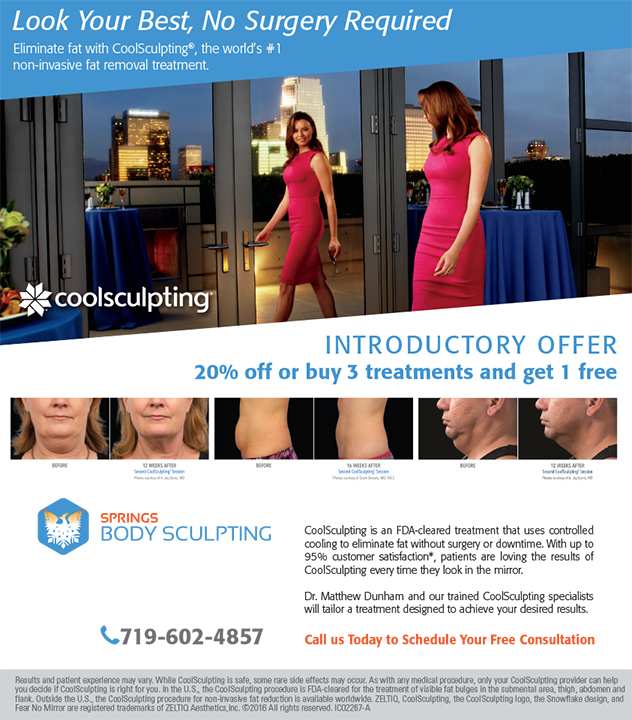 Springs Body Sculpting hired Crystal Peak to develop their logo, marketing plan and manage their advertising. 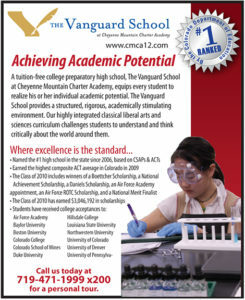 This is an example of one of the many ads that ran in the Gazette newspaper.